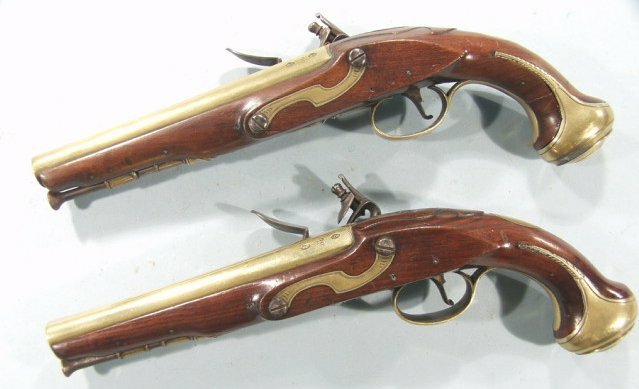 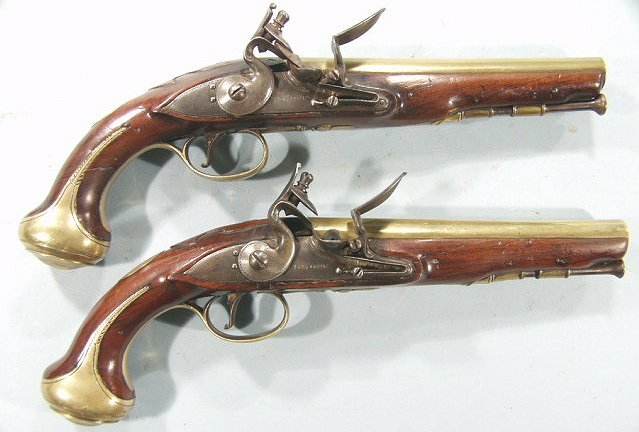 PAIR OF GEORGE III BRASS BARRELLED FLINTLOCK HOLSTER PISTOLS BY DANIEL GOFF OF LONDON, CIRCA 1779. 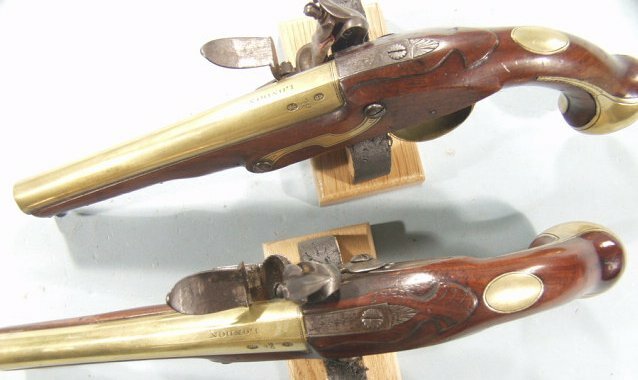 13 12/" overall with 7" round .62 caliber barrels signed "London" and stamped with London Company proofs and Goff's barrel proof. 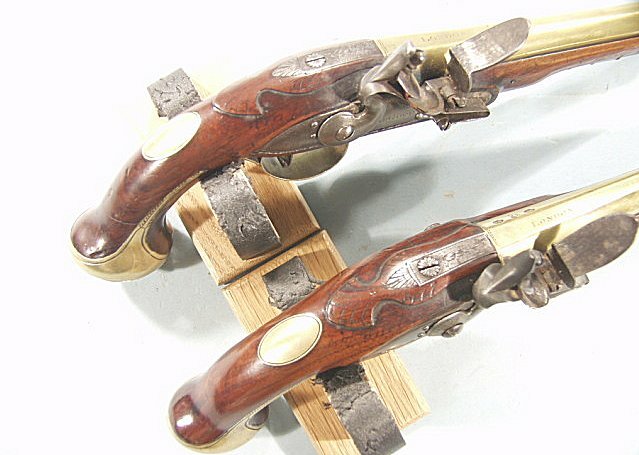 Locks signed "D.Goff". 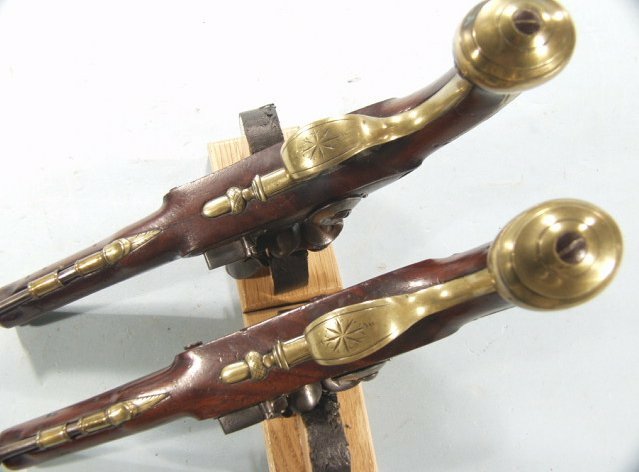 Brass mounts and steel rods. 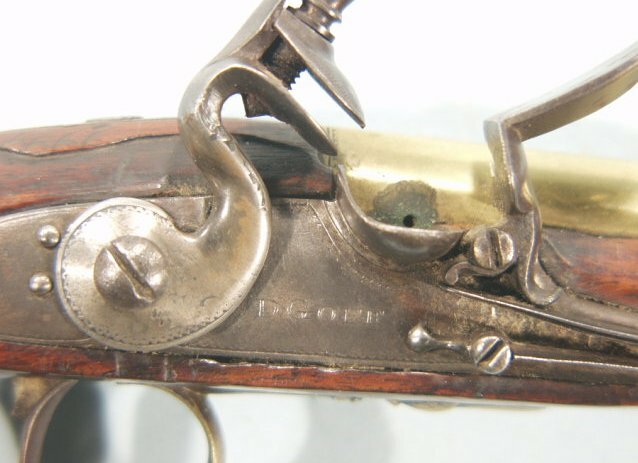 Acanthus leaf carving about the barrel tangs.